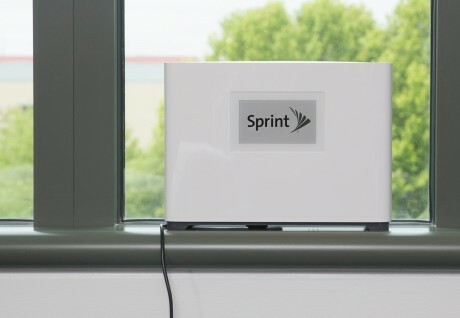 Sprint today announced the Magic Box, a tool Sprint hopes consumers and businesses will use to help it densify its LTE network. The Magic Box is similar to a signal booster in that owners place it in a window. Sprint says the Magic Box is a plug-and-play, self-configuring small cell that requires no labor or rental costs. The Magic Box does not connect to an in-home broadband or WiFi network; it is fully cellular. It connects to a nearby Sprint cell site and improves coverage both indoors and outdoors. It can provide up to 30,000 square feet of coverage inside, and extends the signal outdoors up to 100 meters from the small cell. The Magic Box provides coverage in the 2.5 GHz band and relies on Sprint's network for backhaul. The Magic Box is not for just the owner, it provides coverage to everyone in the area. Sprint claims the Magic Box will provide immediate improvement to network access, speed, and capacity. Sprint has been testing the Magic Box in Denver, San Francisco, Indianapolis, New York, Chicago, and Houston, and says wireless speeds have improved significantly in areas where Magic Box is deployed. The Magic Box small cell will allow Sprint to improve coverage without forcing it to seek permission for outdoor, public cell site deployments. Consumers or businesses interested in the Magic Box can apply for one on Sprint's web site. Sprint didn't specify what criteria people will need to meet to qualify for the Magic Box. WeBoost's Eqo signal booster promises to improve cellular coverage in your home or apartment. Consisting of a booster and antenna, the whole system fits most average dwellings. Verizon Wireless today announced the 4G LTE Network Extender for homes and small businesses. The small box provides LTE coverage in buildings up to about 7,500 square feet, including services such as HD Voice and high-speed data. Can't amplify a crappy network, back hauls to Sprint? Umm yeah, that was funny—in 2007. Hey, I laughed in 2017 too. Probably still be funny in 2027. Honestly, i get 50-100Mbps on 2500 most of the time, if this allows 2500MHz to fully penetrate a building, this is a good thing.